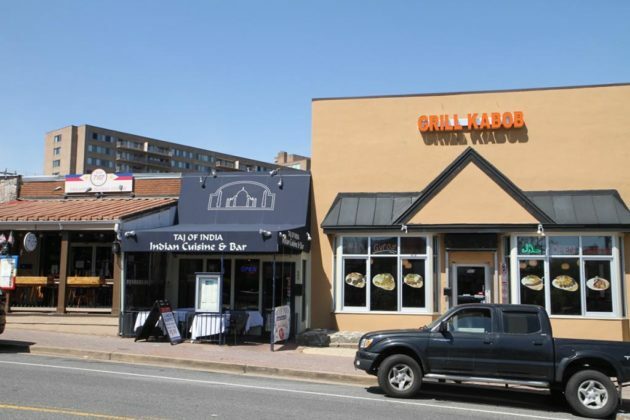 Several other bars and restaurants are nearby on 23rd Street S.
An Afghan restaurant in Crystal City is applying for a major revamp, including a name-change and the ability to host live entertainment. 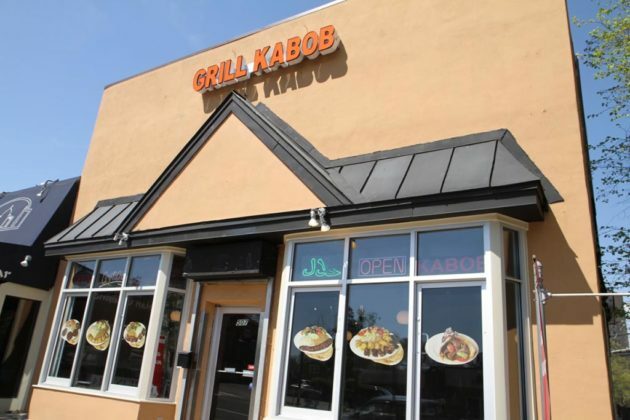 Planning documents filed with the county indicate that Grill Kabob at 507 23rd Street S. hopes to be renamed Sin & Saint. It also would like to add a dance floor on the second level for use on Friday and Saturday nights, in addition to live entertainment from a DJ. In the application, the owners said the DJ will use speakers and subwoofers, most likely the Electro-Voice brand. The live entertainment would be provided from 10 p.m.-2 a.m. on Fridays and Saturdays. The restaurant is located among other bars and eateries along the 23rd Street corridor. The applicant and county staff discussed the project last night at the Aurora Highlands Civic Association’s monthly meeting.